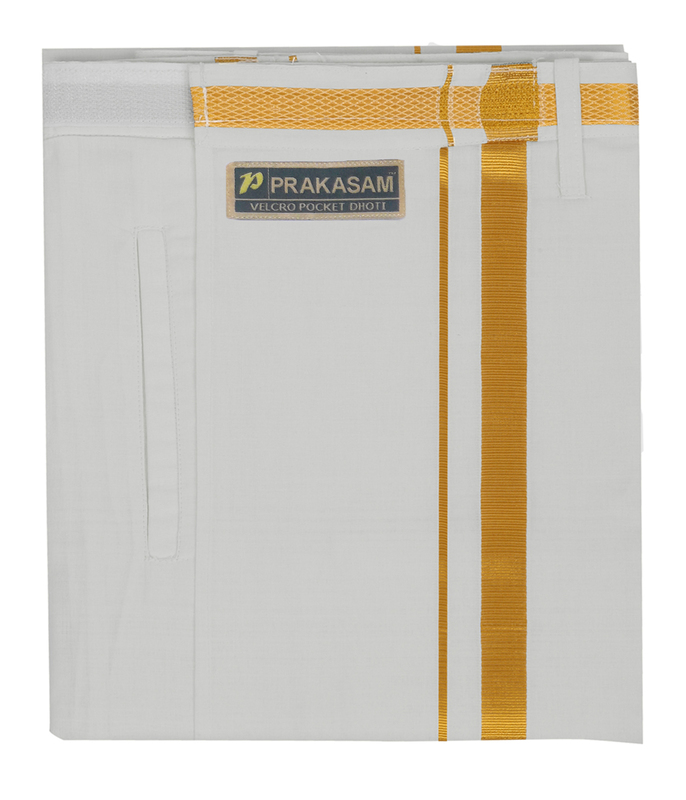 As an online dhoti brand, prakasam cotton is one of the renowned names. 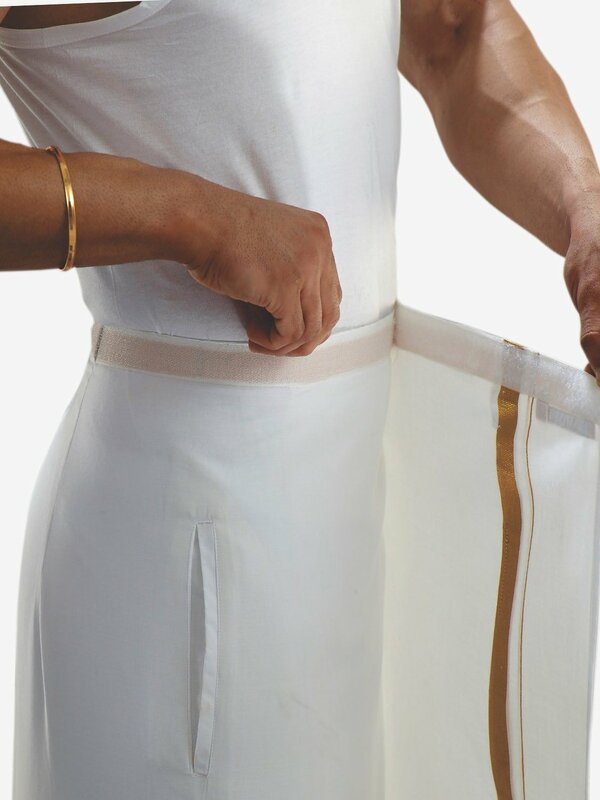 This cotton dhoti for men comes with a white gold border and a Velcro pocket. It has a single pocket on right side for cellphone and wallets. 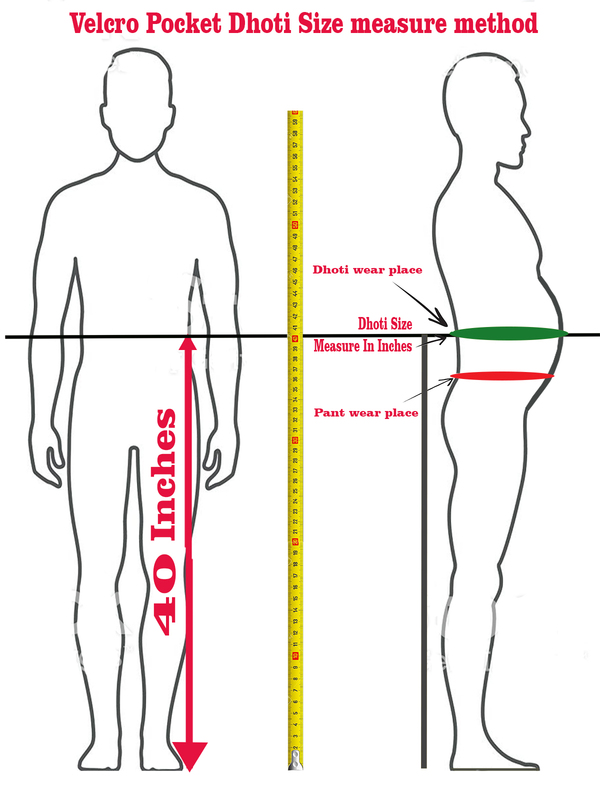 Dont select you pant size as your dhoti size – it’s not fit for all body structure. So you can measure the size bottom to top 40 inches in hip. Then only you can get correct the dhoti having 4-6 loops for wear belt. 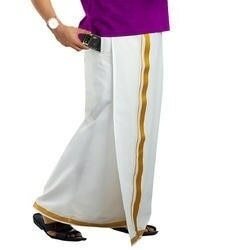 The dhoti length is 42 inches.. Product available in hip size 26 to 46 (26,28,30,32,34,36,38,40,42,44,46). Once you order the dhoti and send the required size through phone. We dispatch you as per your required. Or else we call you for confirmation and dispatched.